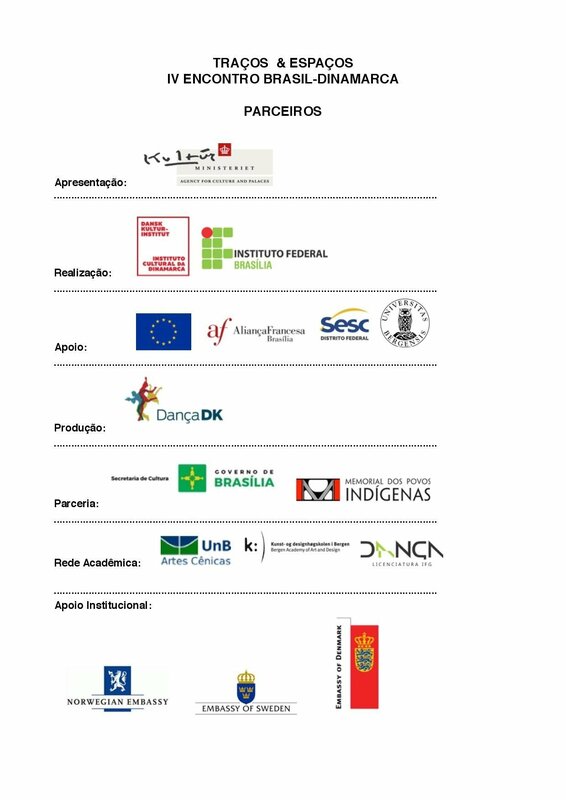 Since 2015, the Bachelor of Dance of the Federal Institute of Brasília (Lidança), in partnership with the Cultural Institute of Denmark (ICD), promotes the so-called Brazil – Denmark Dance Education Encounter. They are international events based on the extensive cooperation of its collaborators and aim at the development of the dance area in general and, in particular, the solidification of the area of “dance-education”. The main objective of the meetings is to create a sustainable platform for artistic, academic and social actions on both sides of the Atlantic, and it is in this sense that the event counts on important institutional collaborations such as the Secretariat of Culture through the Secretariat for Citizenship and Diversity Cultural Center, the Memorial for Indigenous Peoples, the European Union and UnB, IFB and University of Bergen/Norway. “Experiencing this project has been a beautiful adventure. It is born out of an initiative to cultivate friendship between communities, to connect artists and bring institutions from different countries closer together through dance “, – emphasizes Deborah Dodd, academic professor and general coordinator of the Meeting. “We are very proud of this project because of its scope, which operates in three dimensions – artistic, academic and social – in a well-established way with strong and competent partners. It is a collaborative project that is quite complex to accomplish. Enjoy!”, – highlights Anders Hentze, ICD Senior Advisor. The first place will be in the square of the Museum of the Republic on 10/3, with the performance “Desdobrando Sementes”, which will count with the participation of 50 students from Lidança/IFB in a work with blue fabrics and the second “Vestígios” which will take place on 18/3 (place to be confirmed), where she plans to use the green grass as a canvas. From research on the symbology of indigenous graphics, she will guide approximately 300 artists from the city, who will participate in the performance. 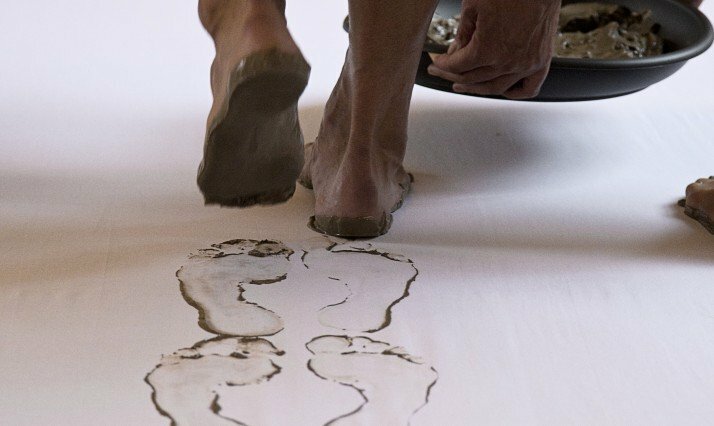 The first 150 participants to sign up for the website will participate with IFB students throughout the choreographic process, which implies generating a footprint and, in the end, will leave behind a huge image. As a Buddhist sand mandala, this work of art will be made of white clay with a temporary nature. The Twin Labs form the core of Encontros Brasil | Denmark. In this edition, the IFB is scheduled in the morning with a group of 20 participants selected for the project, which will also count on the participation of the six Nordic guests. The focus of these activities will be the interaction with the architecture of Oscar Niemeyer and the proposal will culminate with special performances (site-specific) for the Memorial of the Indigenous Peoples, where on the 17th a series of works produced during this period will be held. To contemplate the extraordinary scale of these two artistic performances, the IFB Leadership will receive the academic and artistic residency of the Superior School of Art and Design of Bergen, Norway (Khib) http://www.khib.no/ . During the two weeks of the fourth BR-DK Meeting, Lilibeth Cuenca, who is a teacher at this institution, will direct the work and will count on the collaboration of the teachers who make up the IFB Brazil-Denmark Commission, Larissa Ferreira, Lina Frazão, Mariana Motta and Deborah Dodd Macedo (project coordinator), and with the professors of the graduating class of the IFB. Dia 6/03 – Segunda-feira 10H. Local | térreo do Bloco C do IFB. Dia 10/03 – Sexta- feira, às 16H. Endereço | Setor Cultural Sul SCTS 2 – SHCS, Brasília – DF. Dia 16/03 – Quinta-feira 10H. Mini Auditório do IFB, Via L2 Norte Quadra 610. 17/03 – Sexta- feira às 20H. Endereço: Memorial dos Povos Indígenas, Eixo Monumental Oeste, Praça do Buriti, em frente ao Memorial JK. 18/03 – Sábado às 16H. Local: Gramado do Eixo Monumental, local a confirmar.